Our vision at Splash! Swim + Wellness, Inc. is: “To promote water safety, drowning prevention and a love of the water for a lifetime.” We are committed to enriching our local community through our core values which include providing superior customer service, listening to our clients, maintaining the highest quality of services and creating an atmosphere that is both fun and beneficial to body, mind and spirit. Our mission is to offer a program that fosters a love for the water, puts safety first and promotes physical fitness for all ages and ability levels. We strive to provide our clients with high quality and creative programs, we take a personal interest in you and your family, and above all we aim for your complete satisfaction. Splash! Swim + Wellness, Inc. was founded to address two of the most important issues of our day: Drowning prevention and obesity. The NDPA states that an average of 8.8 young children drown each week in the US and the CDC states, more than one-third of U.S. adults are obese. The 3 pillars of our program were created to address these 2 very common and serious issues. Swimming is a life skill and we are not just another aquatics program! There are several factors that make our indoor year round facility unique. Our water temperature is kept at a warm 90 degrees which makes it comfortable for all ages starting as young as 6 months all the way to adults. Our focus is on safety while offering small class sizes, which enables us to individualize the instruction. 2019 UPDATE: Splash! now has 2 pools. Our main pool will mostly consist of lap lane lessons for the older children & more advanced younger swimmers, and our 2nd smaller pool will have our youngest swimmers & Splash! Angels program. Main teaching pool. The Adult Water Fitness class uses this pool as well. 2nd pool, opened in January of 2019, for younger swimmers & Splash! Angels. We want to aid people in their journey to a healthy lifestyle and provide an environment in which they can meet some of their fitness goals in a non-threatening atmosphere. Our warm 90 degree water offers an opportunity for all levels of fitness to enjoy our water exercise classes. Water Fitness is a great alternative to the out of the water “hard to do” exercises. Plus, it’s just plain fun! At Splash! 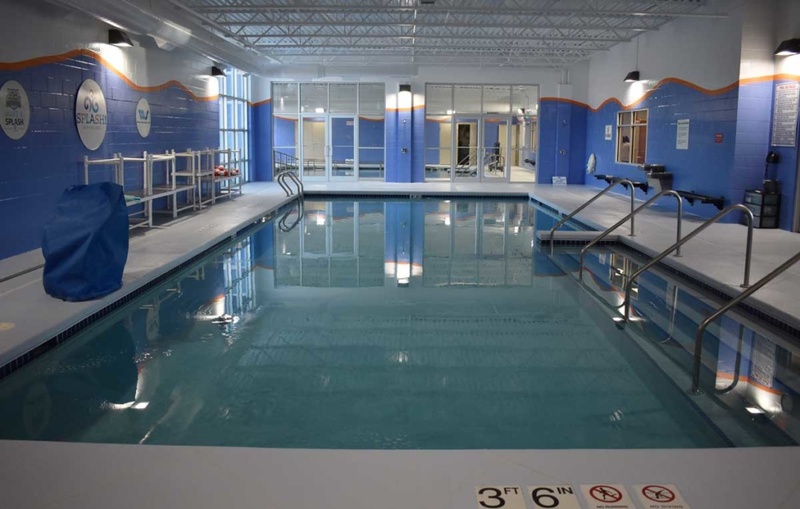 Swim + Wellness we also provide hourly pool space rental for physical therapy and rehab purposes. Many physical conditions prevent people from doing certain exercises out of the water or fully recovering from surgeries so our type of environment helps make this possible. Splash! 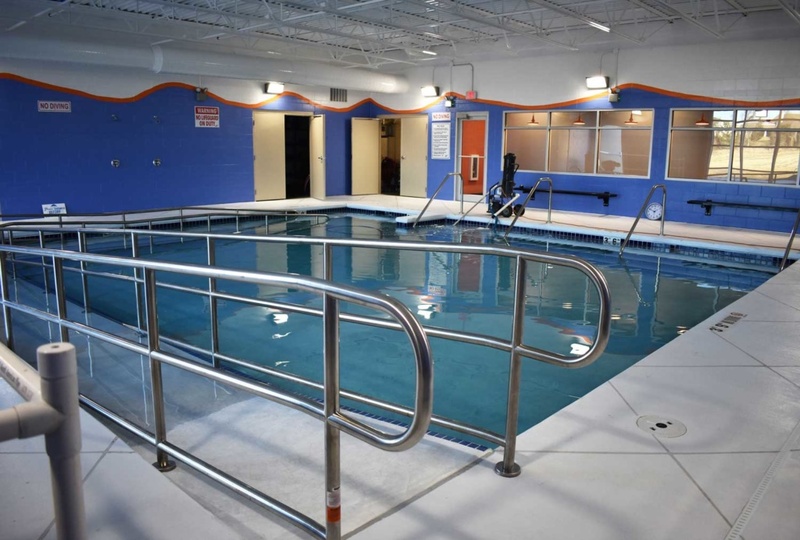 Swim and Wellness also is fully updated with a pool chair lift that is available for entry into the water. Our competitive swim team prep program equips the children who are interested in a future in competitive swimming with the proper stroke techniques. This program is highly effective in preparing children for competitive teams in the local area. This is a natural feeder program and progression into competitive swimming. The additional services at Splash! Swim + Wellness are endless. 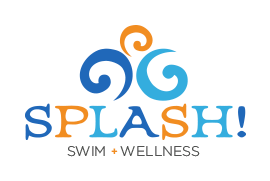 We offer group and private lessons for all ages and abilities, birthday parties, specialty wellness classes, rec swimming, open swim, field trips, adaptive aquatics, pool leasing and retail products. If you’re looking on our website and you don’t see a service you’re looking for please contact us! We are always adding new services and looking for ways to continue growing and better service our community.